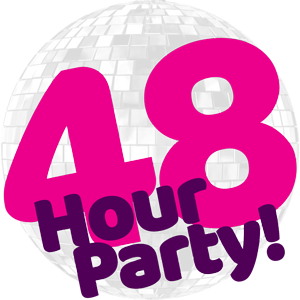 Accommodation | 48 Hour Party! If you aren’t the kind of person to party right through for 48 hours you might want a place to rest your head for a few hours. If that’s you we offer three different accommodation options: Popular, Classic and Club each of these apartments come in a variety of layouts and have up to 6 Berths. A 4 Berth apartment sleeps a maximum of 4 adults, and a 6 Berth apartment sleeps a maximum of 6 adults. Our Popular Apartments offer you comfortable accommodation at an outstanding price. The Apartments include a fitted kitchen, private bathroom, and a lounge with a TV. Southport has Popular Apartments that have either 1 or 6 Berths, so they can sleep up to 4 or 6 people; whereas Camber Sands only has 4 Berth Popular Apartments available for up to 4 people, choose your bedroom options at the time of booking. Each of our Popular Apartments have the facilities for self catering holidays. Classic Apartments offer a variation of bedrooms and bed layout options, choose these options at the time of booking your holiday. All of our Classic Apartments come with self catering facilities for you to set up your home away from home. You can choose between 1 or 6 Berth options when booking at Southport or Camber Sands sleeping up to 4 or 6. The top of the range! Our Club Apartments provide you with a host of additional benefits like free electricity, and added digital TV channels. You also get the extra luxury of early check-in from 2pm just to make your stay more comfortable and convenient. Club Apartments offer a variation of bedrooms and their bed layout options, choose these options at the time of booking your holiday. Each Club Apartment holiday accommodation has the facilities for self catering holidays. Please be advised of our recent changes for Pontins Club apartment package for 2017. We have reviewed guest feedback and found that a common request is to reinstate free linen within our Club benefits.